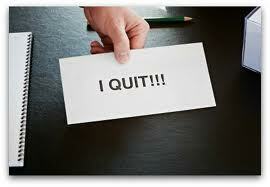 I’ve just started a new job but don’t get on with my boss, should I quit? Of course most people have met with their future boss during the interview process so presumably there has been some cohesion between the two of you at some point before accepting the role. Not getting on with someone can be based on a complex variety of many things. Do you disagree with their professional decisions? Or is their management style not to your liking? Is their personality in the work environment a clash? If it’s a personality based factor I would certainly try and put this to the back of your mind and push on. Most people have redeeming features once you look for them, and if you get on with other people in the office then you can look to fulfil your friendships through other avenues, as long as you’re feeling challenged in all the right ways with your work. Style and all that it encompasses is trickier, but still one that you can address quite easily by planning the ‘style conversation’. There are four principle areas to address here. One is your boss’ personal style. Diagnose it quickly – if you’ve sent an email to your boss on an urgent matter but then land in trouble for not giving the heads up, guess what, don’t rely on email in getting your messages across to your boss. If they are micromanaging and that suffocates you, focus on communication methods i.e. update periods and address it through that. Secondly, scope out what’s best described as your ‘permission boundaries’. What decisions can you freely make and which need prior communication or even permission? Start small to avoid friction but then quickly build up as the relationship and trust grows. Thirdly ‘adapt’ – this is the hardest but worth it in the end. Take complete responsibility for the relationship and adapt to their style. If the boss hates deskchats don’t pop by for them. If he/she hates mobiles ringing away, put it on silent. It’s minor stuff that can often build up on all sides and trust me, we all have irritating habits. Finally address the difficult issues. If there are issues that are leading to real friction and misunderstandings that can lead to further bad judgements on ability or reduced respect, front them. You should find an ally or advisor your boss trusts to help with this if you cannot do it yourself. Also, do not try to address it all in one conversation but use the information you have to address those causing you the most annoyance. My advice is to start your new role by devising a 90 day plan. Set out all the above before hand and include it as part of a strategy to make relationship, operational and business wins. Focus your conversations on results. It removes all noise, has commitments from both parties and is not subjective. Let your boss know that you’re serious about making this role a real success and believe in the importance of getting the partnership right between the two of you. Don’t forget that you’re new and they could still be testing the water and finding out how to manage you. They will probably appreciate some feedback on that. Remember, this is a relationship and as such needs to work both ways. Most offices need all different types of people, so it’s not unusual to find successful working partnerships based on complementary skills, but differing styles or personalities. In most cases you have been through several interviews before you and they have decided to move forward with a job offer. Whilst finding out that a new boss isn’t going to be a good friend or giving constructive feedback on management styles might not have been what you were expecting, your main focus should be on all the professional challenges work sets you. If you can find a way to collaborate with your new boss you’ll probably find that you’re capable of achieving all the ambitions you set yourself when accepting it as well as adding another string to your bow along the way. 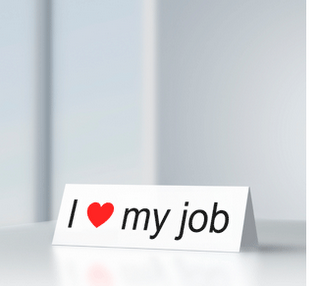 Poll – As a job seeker, what do value most from a recruitment agency?